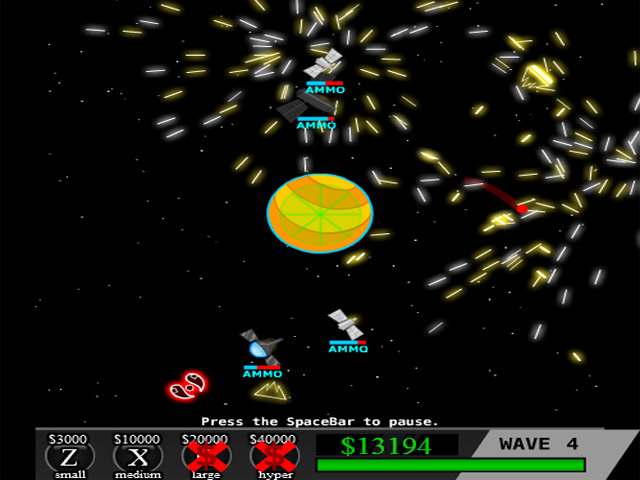 Strategically place laser satellites around your planet and repel waves of alien invaders in this explosive arcade game! Earn cash exterminating your enemies and buy powerful upgrades to keep the hordes at bay. 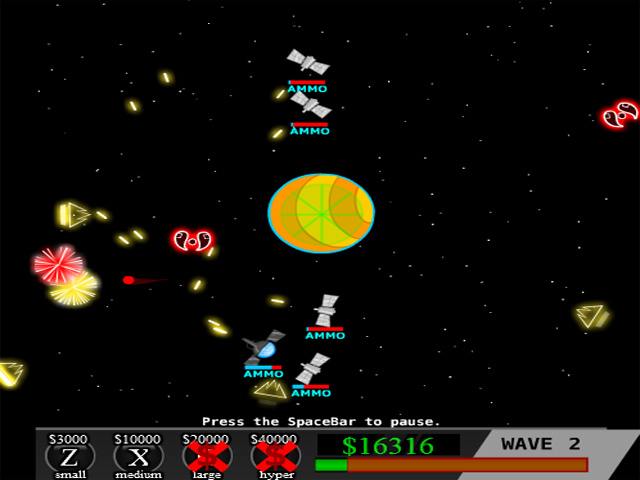 But be careful, each satellite only has a limited amount of ammo and will explode once it’s been depleted. 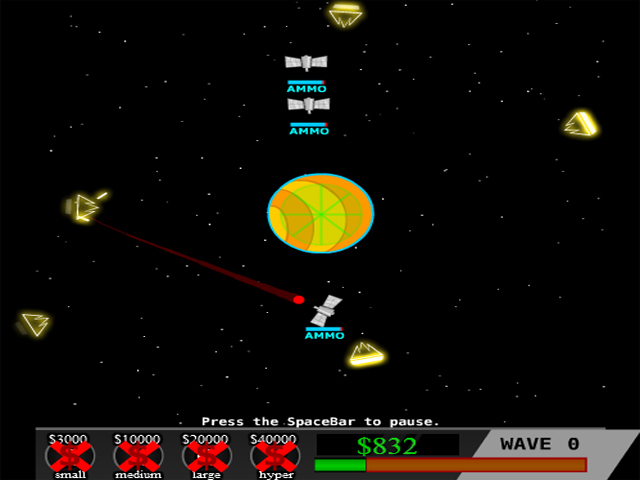 Keep your planet safe with S.T.A.R. Defense!